We’ve been having babies on the farm this month. Could we have picked a more inopportune time? Nevertheless, these little guys are pretty hardy and really cute. 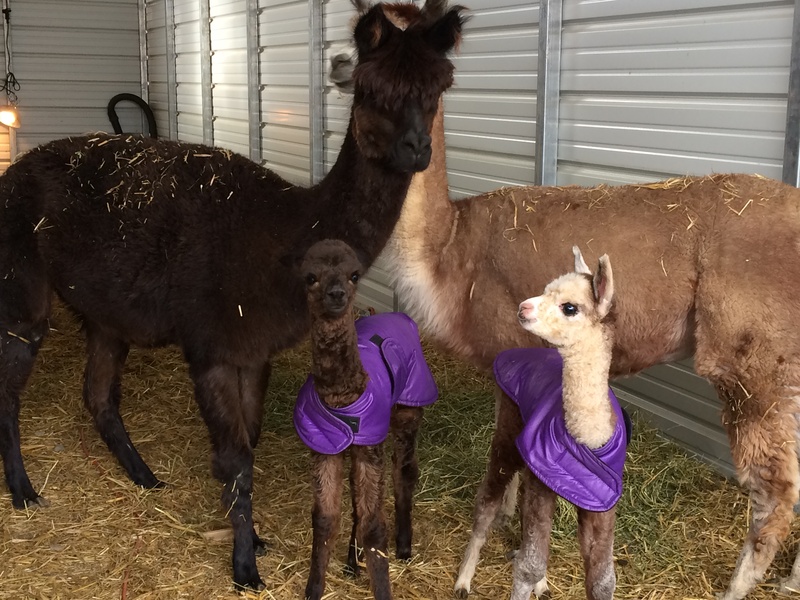 Above is Hank (brown cria) and Red (rose-gray cria) with their moms.